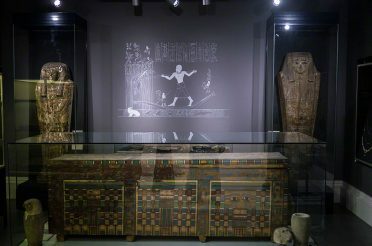 Three rooms are dedicated to the ‘house’, with the interiors and some of the larger artefacts (such as coffins) made out of paper and card. 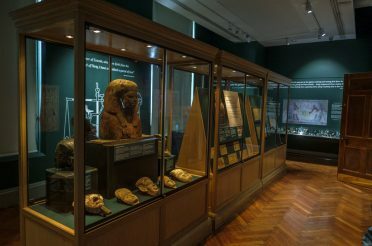 There’s also furniture – real, not paper – and a few display cases containing Egyptian artefacts from Mrs Goodison’s collection. In places, there are cartoon-style animations and pictures projected onto the walls. Not much is known about the Goodisons. George Goodison, born in Leeds in 1846, was a civil engineer. He designed a system of sewage pipeworks for a botanical nursery in Liverpool. 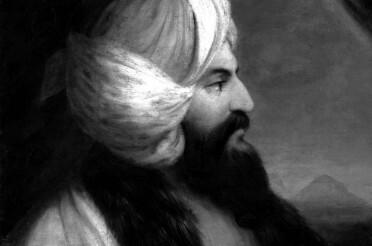 So admired was his work that one of the central roads in the development was named after him: Goodison Road. In 1892, Everton football club built their stadium at Goodison Road and thus adopted the name for their ground: Goodison Park. In 1869, George married Egyptologist Anne Padley. Anne, born in 1845 in West Derby, was living at Adelaide Terrace in the Waterloo district of Liverpool (a road which also features in my own list of past addresses!). After spending a number of years living in the Lake District, the Goodisons returned to Liverpool, taking up residency in Beech Lawn (the next row of houses along from Adelaide Terrace). 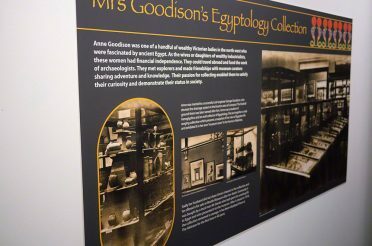 Although they ended up spending their later years in the Cotswolds, Anne’s collection of Egyptian artefacts ended up in Bootle, an area of Liverpool just down the road from Waterloo. After she died, George had no interest in retaining the collection and sold it to a Mr T Davies. Mr Davies then donated the collection to the museum in Bootle. 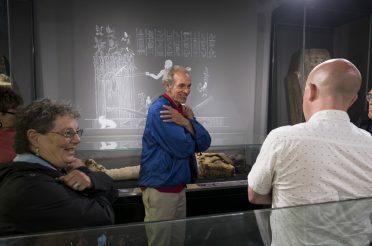 After Bootle Museum closed in the 1970s, the collection was stored at Southport, and is now part of a wonderful permanent gallery at the Atkinson. The exhibition is on until 30 October 2016; if you’re in the area, I urge you to go. It’s one of the most unusual and imaginative exhibitions I’ve had the good luck to visit in a long time. 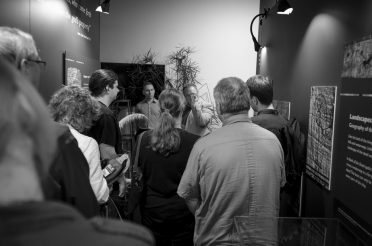 If you’re unable to get to the exhibition, or you’re reading this after 30 October, here’s some pictures for you to enjoy instead. 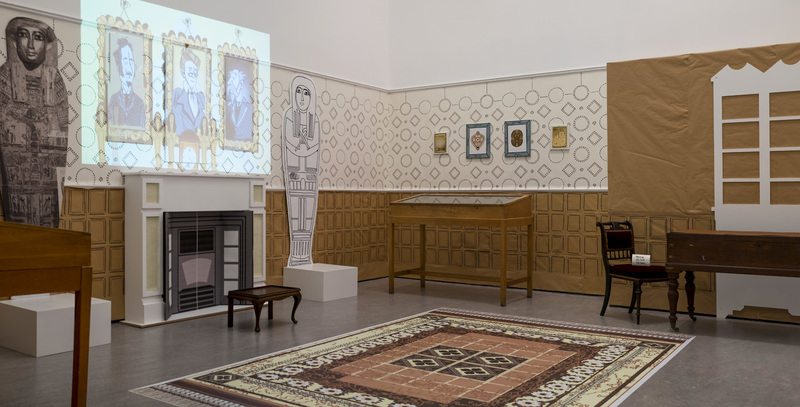 What’s the most unusual exhibition you’ve been to? 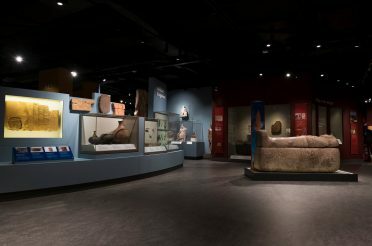 Have you been to see any particularly fun Egypt-themed exhibitions? 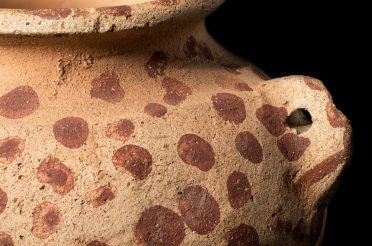 What do you think would be a really fun kind of exhibition to visit?